Hi hi! Welcome back 🙂 I hope everyones week has been a good one. Mine has been reasonably crappy. I’ve been feeling a little under the weather and exhausted. Boo. But I have had some little jars of goodness to brighten up my days. 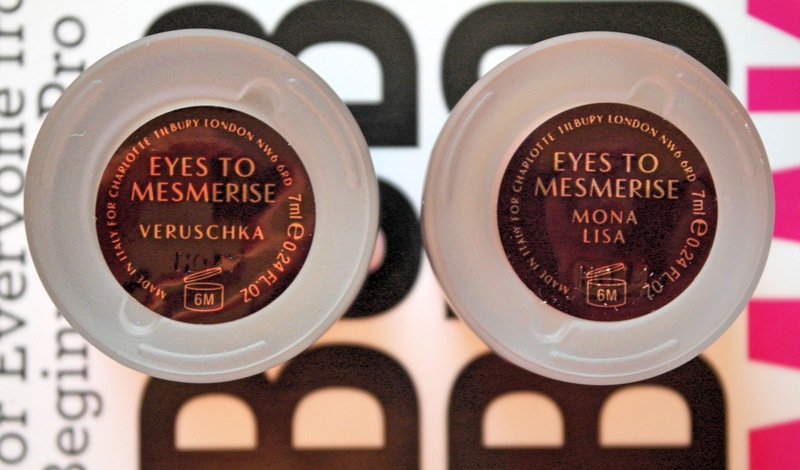 Meet the Charlotte Tilbury Eyes to Mesmerise in Veruschka & Mona Lisa. I love me a cream shadow for many reasons, the ease of applying, blending and the fact I don’t have to dirty a brush all win big bonus point with me. Oh, and also (for me anyway) its usually a one pot job. I don’t faff around blending colours when I use creams. It’s smudge and go. Veruschka on the left is described as a Khaki-Grey and is just stunning. It’s certainly my favourite colour of the two that I have here. 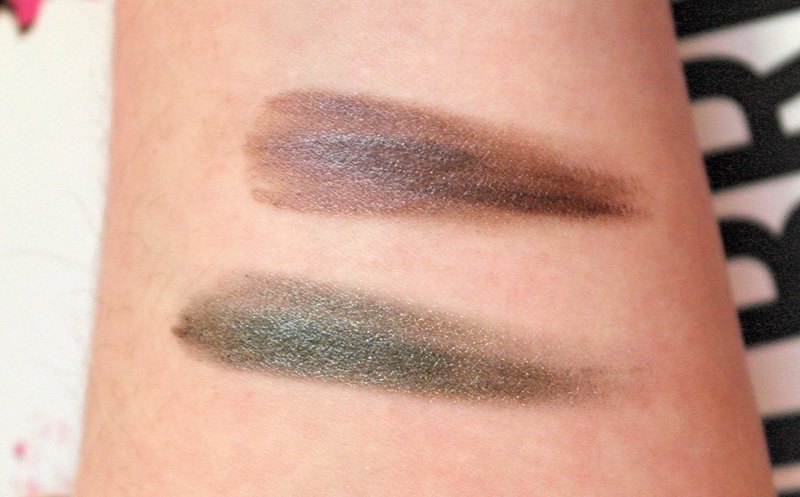 I adore a green eye and this one with its reflective sheen is stunning on the lid. Mona Lisa on the right is described as a Warm Amber-Bronze. This one I’m a little on the fence about. I do like the colour but I have other cream bronzey shades that I prefer. 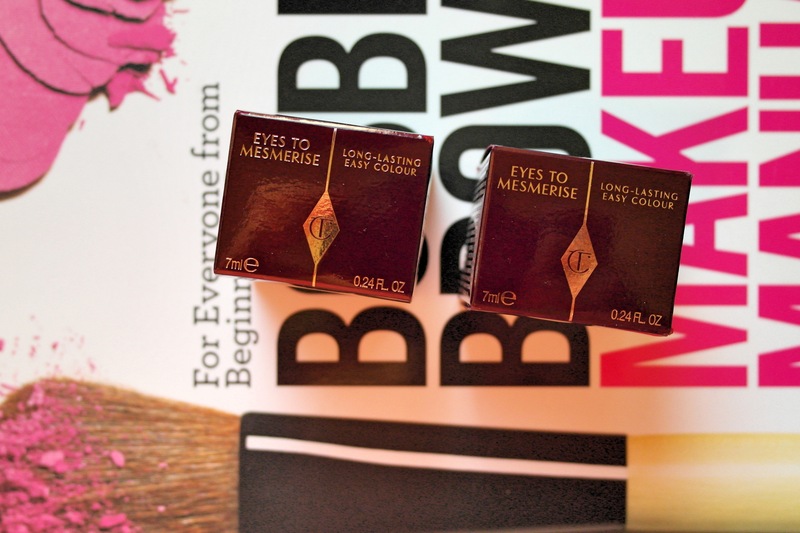 I’ve got two issues with the Charlotte Tilbury Eyes to Mesmerise. And that is wear time and creasing. I am not a person that routinely wears or needs to wear an eye primer. But lordy the first day I wore Veruschka (sans primer) I was regretting it by lunchtime. It had creased quite badly and was looking a little worse for wear. By the time I got home late afternoon the cream had all but disappeared. Since the first day I been wearing them with a primer and they are now faring much much better. I’ve had little to no creasing and the cream is still intact on the eyes come afternoon. 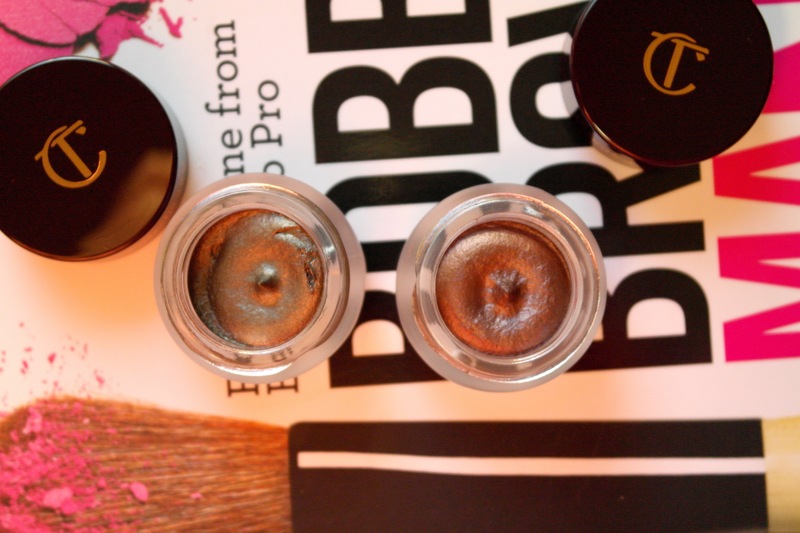 As far as buying any further Charlotte Tilbury Eyes to Mesmerise, I think I will hold off. The other colours don’t really take my fancy and I am happy enough and will definitely get lots of use out of the two I have. Do I regret the purchase? No… ok, well maybe Mona Lisa.